Manila - Star Cinema's comedy movie 'Girl Boy Bakla Tomboy' starring Vice Ganda has reached P300M mark on Friday, January 3, 2014 as announced by the film outfit advertising and promotions manager Mico del Rosario. Vice Ganda on Twitter expressed his gratitude for all the fans who supported his movie. "#GirlBoyBaklaTomboy has breached the 300Million mark! Maraming maraming salamat po! #GBBT fever!!!! ", Vice said. "Mangilan-ngilan na rin ang pelikulang pinagbidahan ko. 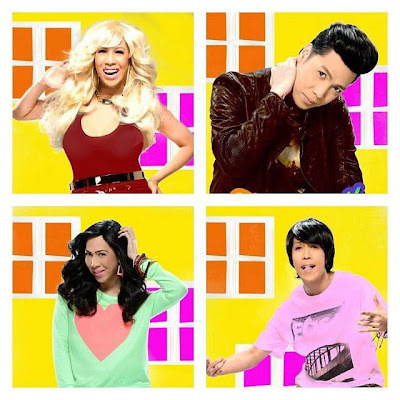 Pero masasabi kong ang #GirlBoyBaklaTomboy ang pinaka maipagmamalaki ko. Salamat s inyo! ", Vice added. "Girl, Boy, Bakla, Tomboy" is the second Best Picture and has received the Most Gender-Sensitive Film award in the 2013 Metro Manila Film Festival (MMFF). Directed by Wenn Deramas, the Viva Films co-production movie tackles story of quadruplets who were split into pairs when they were babies. A sibling in need of a liver transplant brings the four together for the first time, but unresolved issues involving their parents as well as rivalry mar the reunion. ABS-CBN said that as of December 31, the movie "Girl, Boy, Bakla, Tomboy" was a close second at the box office to "My Little Bossings," a Kris Aquino-backed film starring her son, Bimby Yap, Jr., and child wonder Ryzza Mae Dizon. Ranking third to fifth, respectively, were the horror film "Pagpag: Siyam na Buhay" starring Kathryn Bernardo and Daniel Padilla, Eugene Domingo-starrer "Kimmy Dora: Ang Kiyemeng Prequel" and action film '10,000 Hours'. Festival organizers have no announcement yet for the exact box-office gross and rank for other films. As of December 31, gross ticket sales have reached P597 million according to Metro Manila Development Authority (MMDA), organizer of the annual MMFF. It is a record-breaking sales compared to the previous year, P527 million as of January 2, 2012. The 39th MMFF will run until January 7, 2014.